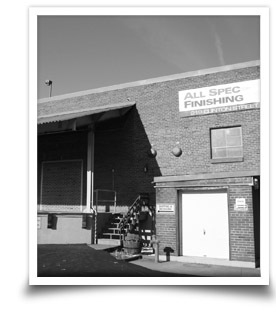 AllSpec Finishing Corporation was founded in 1992 by Tony and Shirley Milasi and is located in the heart of the North East in Binghamton, NY. The company has grown dramatically over the years into a complete full-service company. Our seasoned team of professionals leads a growing company that understands the demand for high quality products, fast service and competitive prices. AFC is a full scale industrial painting facility with both the technology and experience to take on the final step in your project. Our services include wet painting and powder coating along with parts screening and light assembly work. If you're ready to partner with the leader in industrial painting, please visit our quote request form and tell us about your next project.